When her dormant psychic abilities are awakened by a near-death experience, a young woman discovers, to her horror, that she can now see the dead. Terror turns to chaos when the ghosts begin stalking her and the paranormal bleeds into every aspect of her life. 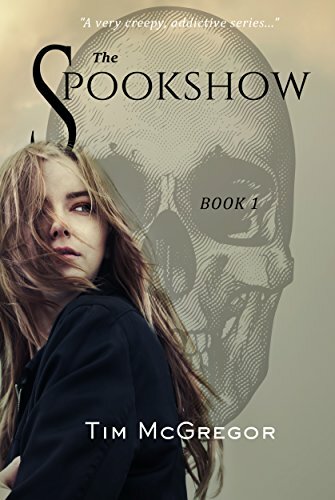 THE SPOOKSHOW is a macabre, fast-paced supernatural series about how the paranormal disrupts one woman’s fate. Billie Culpepper is drifting through her own life when her latent psychic ability is suddenly awakened, allowing her to see ghosts. But the dead can also see her, and they demand to be heard. As Billie struggles to adapt, dark secrets about her past threaten not only her own future, but that of her friends as well. Download the first book in the occult fantasy Spookshow series for free. 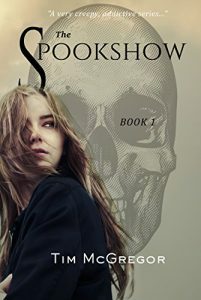 If you like supernatural mysteries, dark romance and dark family secrets, then you’ll dig the Spookshow.